TITLE OF YOUR RESEARCH (14pt Times New Roman, Uppercase, Bold, Align text to the left). University Name, Country (11pt Times New Roman). No department or email address, please. Abstract (12pt, Times New Roman): The abstract should be one paragraph only. It’s 12pt, Times New Roman. Paragraphs shall be 1,5 space. They should be typed in Times New Roman 12pt. Do not use page numbering anywhere in the manuscript! Please use APA reference style. 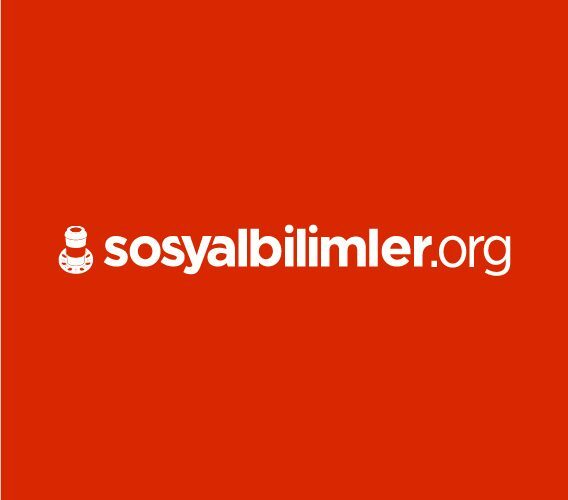 Email your formatted document to bildiri@sosyalbilimler.org only unless we expressly ask you otherwise. In the Subject line of your email, include your name and subject title. Length of the study: Please try to limit your study at least 5 pages or mostly 20 pages. 1st International Symposium on Zygmunt Bauman organized by sosyalbilimler.org will be held between 19-21 May 2017 in Kusadasi / Aydin / TURKEY. Such a symposium on Bauman and his thought has the feature of being the first one in the world. The abstracts of the accepted papers will be issued as e-book. The full papers will be published as a book, if they are accepted at the end of the peer review and editorial process carried out by the symposium’s international scientific committee. Important dates such as dates of application, abstract submission and full paper submission to International Symposium on Bauman can be followed from this title. Looking Through Globalization: Tourist or Vagabond? Parvenue or Pariah? Holocaust: Due to Modernity, or in spite of Modernity? Dear participants, feel free to choose your own study area with the inspiration from Bauman and his thought. Titles above are expressed just to give an idea. By taking into consideration both the remarks and personal views uttered by a certain number of academicians in Turkey on Bauman, and the quality and quantity of academic studies on Bauman in Turkey, and besides, the publishers’ printing conditions of books on Bauman (independently of the supply-demand issue), we are of the opinion that Bauman is not appreciated enough in the context of social sciences in Turkey, a healthy platform to discuss his ideas has not been created, sufficient number of studies have not been held and (while the reason is still obscure) he is as if disregarded. It is worrisome that Bauman, who has about 70 copyrighted works, produces constantly and is one of the most cited social scientists, is not valued in Turkey as much as he deserves. Due to these reasons, we have made a decision to hold an international symposium on Bauman once in two years. The most important result of this kind of a symposium is undoubtedly to raise a well-deserved awareness about Bauman in Turkey and to provide a necessary step to pave the way for discussion on him. Ege University, Faculty of Arts, Sociology, Assoc.Prof. 50 academics from 10 different countries are members of Scientific Committee of International Bauman Symposium. The Committee can be viewed from this title. ⇒ Before the application, please be sure that you read; “Social Sciences Platform Symposium Specification“. ⇒ The difference between listener and participant is explained in symposium agreement. ⇒ If you want to attend the symposium as a presenter with an oral or poster presentation, please paste and submit your abstract as a word document within the following presentation form. ⇒ While fee payment, through EFT/Bank Wire Transfer, it is necessary to write “Name-Surname” and “Symposium Purchase” for the explanation part. For example; Tom Patrick Symposium Purchase. ⇒ The symposium will be held at The Grand Blue Sky International located in Aydın Kuşadası. The hotel can be viewed through here. ⇒ Fees mentioned below are valid for one person for 3 nights. ⇒ Mentioned fees include “Listener Fee / €30” which is registration fee and “Presenter Fee / €80”. ⇒ At the same time, these prices include the process of publishing. The abstracts of the submissions accepted for the symposium will be published as proceedings and full text articles will be published in international refereed journal of Social Sciences Platform if accepted by refferees. ⇒ These prices don’t include the transportation expenses. ⇒ Prices are categorized as “Listener and Presenter” and “Garden Panorama and Sea Panorama”. ⇒ These prices are valid for finite numbers of room. That means, when the holiday season comes, prices will be updated in accordance with the updates of the hotel. Fees for participation (as Listener and as Participant) are fixed. The mentioned changes about the prices are relevant to accommodation prices and that will cause the changes for prices stated in this page. ⇒ Hotel accommodation has the system of “All Inclusive”, for further detail, please check this page. ⇒ In the case that participants state names with whom they want to share the same room, within the bounds of possibility, the arrangement will be set according to these requests. ⇒ In the case that you participate by yourself, your roommate will be arranged by the hotel, and you will be informed about this at your entrance to the hotel by the reception. ⇒ When all the payment is made, voucher (The Document of Accommodation) will be sent to you. Dear colleaques, all the rooms we reserved are fully booked. We cannot supply accomodation from now on. You can still send your abstracts and register for the symposium for 80€ without accomodation. If you cannot physically attend the symposium, your presentations are still welcomed and presentesed by our friends on behalf of you.Thanks for your interest. ⇒ If you participate as listener; after the fee payment, your registration will be accomplished. After the affirmation that your payment is transferred into Sosyal Bilimler Platformu’s bank account, you will be informed by the e-mail saying that your registration is completed smoothly. If you participate as presenter; you will be contacted if your abstract/poster that you’ve sent is approved by the Scientific Committee. After the acknowledgement, the process of fee payment will begin. After the affirmation that your payment is transferred into Sosyal Bilimler Platformu’s bank account, you will be informed by the e-mail saying that your registration is completed smoothly.